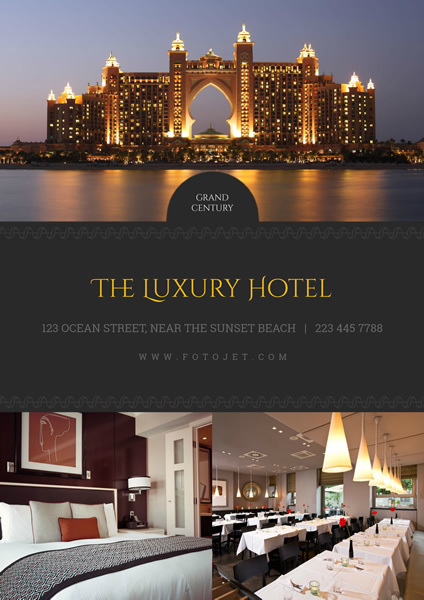 Show the luxury hotel in a unique way by making some hotel posters with its photos that can display the hotel well. This promotional poster template set aside some places for you to put your photos, which is really thoughtful. With the editing tools, you can also change the default text into your details in your favorite fonts. Besides, if you want to show more photos, just add it to the template and make it arranged. Poster maker FotoJet provides an easy way to make promotion materials for your hotel.